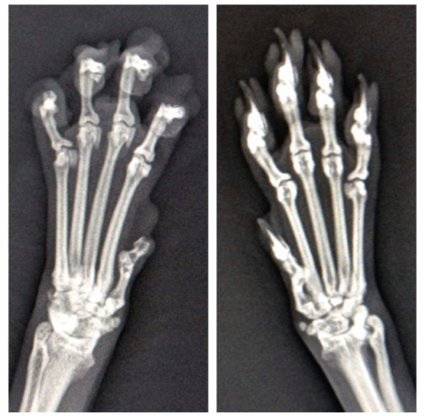 What is Feline Onychectomy (declawing)? Declawing is the surgical amputation of the last joint on the toe. This includes the bone that houses the nail bed. Declawing is illegal in most first world countries. Though not yet illegal in Canada many clinics are adopting a no declaw policy. The surgery itself is very painful with reports of some cats experiencing lameness for months to years afterwards. With this amputation many cats develop permanent lameness, arthritis and other complications over a period of years. When cats walk they use the tips of their toes as weight bearers, with their steps being cushioned by the pads under the toes. Declawed cats have to adjust their weight which leads to painful arthritis in their backs and shoulders. Cats may also develop a litter box aversion, meaning they will not use their litter box as they may associate it with the pain they feel in their paws when trying to cover the waste. They will seek a less painful place for elimination such as carpets, beds, laundry and even in the bathtub. Claws are a cat’s primary form of defense; without them they may resort to their only other line of defense, their teeth. Cats use scratches as a “warning” – without claws, some cats become biters. ​What complications can happen when declawing a cat? Painful regrowth of claw inside the paw which is not visible to the eye. Some require constant pain management to correct while others may require a second anesthesia and surgery at added cost. ​What are the other options? Offering multiple cat scratchers of different forms is ideal. Every cat is different and likes to scratch at different textures, inclines and times. The cat scratcher must be tall and sturdy enough to allow them to fully extend their body without falling (which can scare them and leave them unwilling to use it again). Having regular nail trims performed at home or at the veterinary office helps prevent damage to furniture. Nail caps (such as Soft Paws) are soft vinyl caps that are painlessly glued over the nail, which prevents damage due to scratching. Soft paws can be purchased at many pet stores or through your veterinarian, and can be applied by one of our staff members. 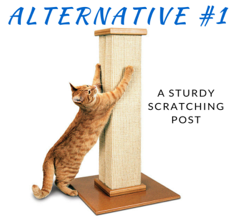 There are several products that can be used to help cats find appropriate places to scratch. For example, the pheromone spray Feliway promotes feelings of comfort and familiarity in cats, which can help encourage them to use a scratching post. Using cat nip in a scratcher is fun way to encourage your cat to use it. Increasing play time is a fun, healthy way to tire your cat out and leaves less time for boredom scratching. Please feel free to discuss any questions or concerns you may have with any of our staff. 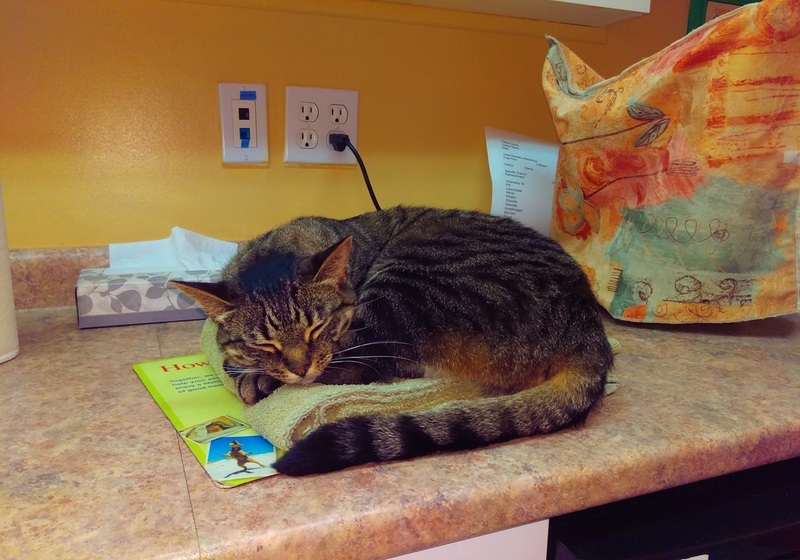 We can book your cat in for a nail trim at any time, and we typically carry the Feliway pheromone spray in stock. 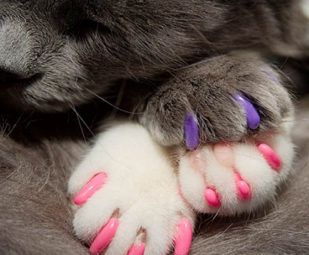 If you’d like to try the “Soft Paws” nail caps, please let us know and we can apply them at no charge.